This photo depicts Mary Tanner before she died 35 years ago at the age of 18. Tanner disappeared while hitchhiking home from a July parade and was found beaten to death in a nearby field a few days later. Her killer has never been found. 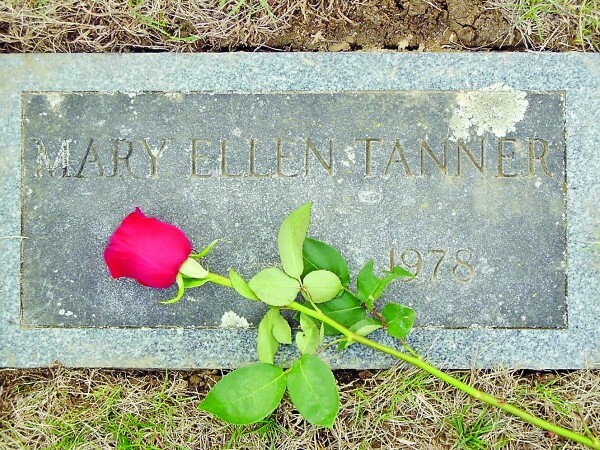 The Biddeford grave of Mary Tanner, who was found beaten to death 35 years ago in Lyman. Her murder remains unsolved. "A part of the whole town died that day," Charles Tanner said of the day his sister's body was found 35 years ago. The family of Mary Tanner, who was 18 when she was killed in 1978, still does not know who killed her or why. KENNEBUNK, Maine — It was hot and humid on that July night back in 1978. With the Fourth of July celebrations past, the people of Kennebunk and Kennebunkport had gathered in Dock Square for the annual Miss Dumpy Parade, families and teens alike enjoying the warm weather and the annual tradition. Mary Tanner, at 18, was no exception. She was enjoying the parade, being with her friends, maybe some partying nearby. Finally calling it a night, friends dropped Mary off at Cooper’s Corner in Lower Village. From there she would hitch a ride home, she told them. A couple of hours later, Tanner was spotted once again, this time by some friends who had stopped for gas at the Cumberland Farms downtown just after 11:30 p.m.
“Can I get a ride?,” she asked them, but it turns out they weren’t heading her way, out to Cat Mousam Road where she lived. They drove away, leaving her on the bridge. A little ways away — just across town — the friends turned back, feeling bad. Intending to give her a ride, they doubled back to pick up Tanner, but she was gone. Mary Tanner would never be seen alive again. It’s been 35 years since that July 7 night; 35 years since Tanner’s badly beaten and decomposing body was found two days later in a field just over the Kennebunk line in Lyman. Thirty-five years without answers. The questions still remain: Who picked Mary up that night after her friends left? Where did they take her? And, most important of all, who killed Mary Tanner? By all accounts, Mary Tanner was a free spirit, a happy girl. The baby of the family, everyone remembers her as always smiling, always laughing. Still, when a body was spotted by a pilot flying over Gracie Evans Field in Lyman, no one initially worried it might be Mary. Tanner vaguely recalls reading that a body had been found in a field near Kennebunk, but he never wondered if it could be his sister. Mary’s family assumed she had left late the night before to go visit her boyfriend, in Massachusetts. His brother, killed in a car accident, was being buried the next day, so Mary was going to attend the funeral. Today, with so many teens having their own cars and everyone having cellphones, it’s hard to imagine that the Tanners hadn’t worried about Mary or whether she had gotten there. But times were different then, Tanner said, and her parents just assumed Mary was with her boyfriend when she didn’t come home. It wasn’t until late Police Chief Frank Stevens began showing photos of the badly decomposed body to people, including girls as young as 15, Ames recalled, that Mary’s name came up. “Someone recognized the chain she was wearing,” Ames said, adding that Mary and another friend both wore the same chain. Once the other girl was located, the authorities focused in on Mary. And that’s when Tanner got the call. “Mom called and said, ‘They think the body’s Mary’s,'” he said. What happened after that is a blur of memories for Tanner and Ames. Tanner remembers going to the house, as his parents waited while the family dentist dug out Mary’s dental records. Mary had been bludgeoned to death, beyond recognition. She had been pregnant. Ames remembers hearing about the body when he came back from a hike in the White Mountains that Sunday. It upset him, he said, because he and friends had been at a party in Gracie Evans Field just the night before. In fact, one of his friends had slept there Saturday night, and they had picked her up just that morning for the hike. Hearing the body was Mary’s made the feeling worse. Ames said he and his friends never returned there to party again. That wasn’t the only thing that changed around town, though. Parents didn’t let their kids stay out once the streetlights came on, he said, and people started locking their doors. And then there was the worry that it would happen again, that Mary had been the victim of a serial killer. Worse yet, there was the growing feeling that the killer was one of their own. “I don’t think [Mary] would’ve ever gotten into a car with someone she didn’t know,” Ames said. And where her beaten, bloody body was found, in Gracie Evans Field, wasn’t a location known to many but locals, he said. Back then it was just a field where families gathered by day to watch skydivers come down, and teens at night to party. But it wasn’t easy to find or navigate to, being down a series of dirt roads and in a remote, wooded area. Today, Detective Corey Pike with the Maine State police is in charge of Mary’s case, Tanner said. While Pike didn’t return messages for this story, Tanner said she has been gathering leads and keeping in touch. Many of those leads have come through a Facebook page, Justice for Mary, created to share information and memories. Members — now more than 500 strong — are planning a memorial prayer service in Mary’s honor at 7 p.m. Saturday night in Kennebunk. 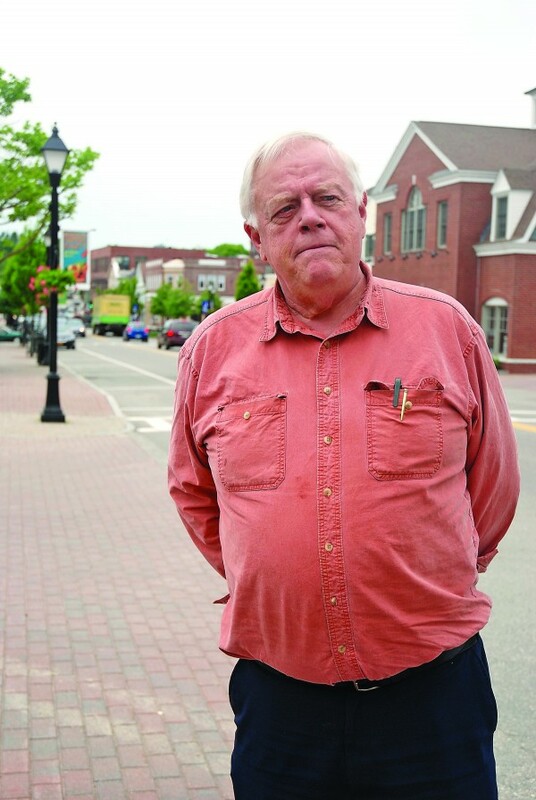 Tanner credits Coast Star Kennebunk Town Columnist Shelley Wigglesworth with helping to get the movement going, and reintroducing Mary’s story after so many years. “She’s a godsend in this thing,” he said. Wigglesworth, who was 9 years old when Tanner was killed, and whose family was friends with the Tanners, said she just wanted to help people remember Mary. “We have to do as much as we can to keep her memory alive,” she said. That includes raising funds for an annual scholarship awarded to a KHS student, she said, and pushing for details, no matter how small, of that July night 35 years ago. A memorial prayer service to honor the life of Mary Ellen Tanner will be held at 7 p.m. June 29 at the Unitarian Universalist Church on Main Street in Kennebunk. The service will be officiated by retired minister Rev. Fred Holmberg, and will include music. Immediately after the service, a reception will be held in the church fellowship hall. Light refreshments will be provided free of charge by Gisele and Mark Nedeau of Ashby’s Deli. Prior to the memorial, Justice For Mary T-shirts [which were designed by Mary Tanner’s great-niece and namesake, Mary “Katie” Tanner], will be available for a suggested donation of $8 each while supplies last. Justice For Mary bumper stickers are also available at Bargain Fuel on Route 35 in Kennebunk, free of charge or for a voluntary donation (while supplies last). All proceeds will benefit the Mary Ellen Tanner Memorial Scholarship Fund, which awards a college scholarship to a graduating majorette or cheerleader at Kennebunk High School each year in Mary’s honor. Tips in Mary Tanner’s death should be directed to the Maine State Police at 657-3030.